*Interpretation* - In other words, once you've added all the necessary files into the archive, it should look like the above. Because you specified a name and directory for the archive earlier, it's already saved for you. 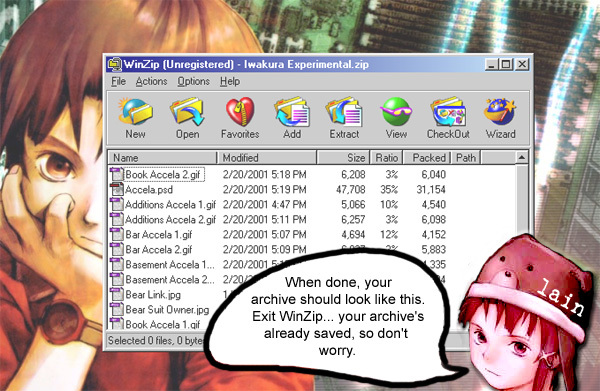 Now you can exit WinZip and see where your zip file is located.